With just two days before game time, the UFC has finally released the completed lineup for their “The Ultimate Fighter 9 Finale” event this Saturday. 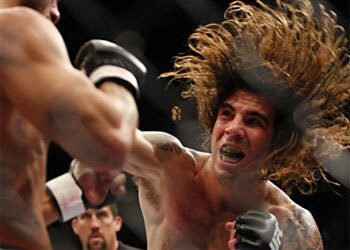 As anticipated, an explosive lightweight clash between Clay Guida and Diego Sanchez will headline the show. You can catch all of the main bouts airing on SpikeTV beginning at 9PM ET/PT. Unfortunately, for all of you that don’t have access to an east coast feed, you will be watching the show via tape delay.